With a changing population leading to more families residing on campus, our client asked that a parking lot be changed to a playground. 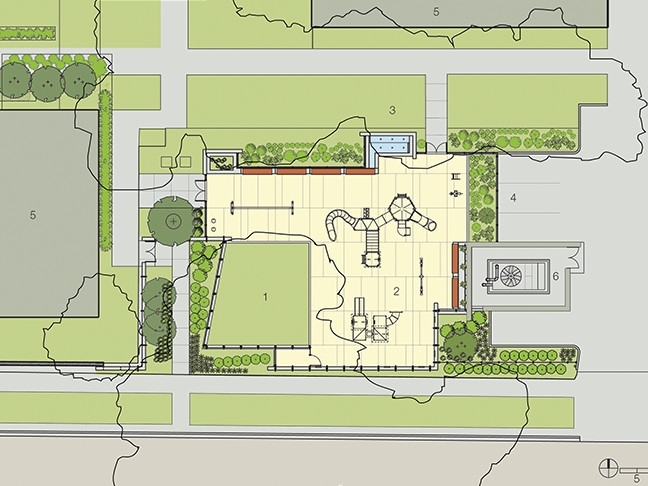 Our playground provides children with a safe play area that supports both passive and active recreational activities. 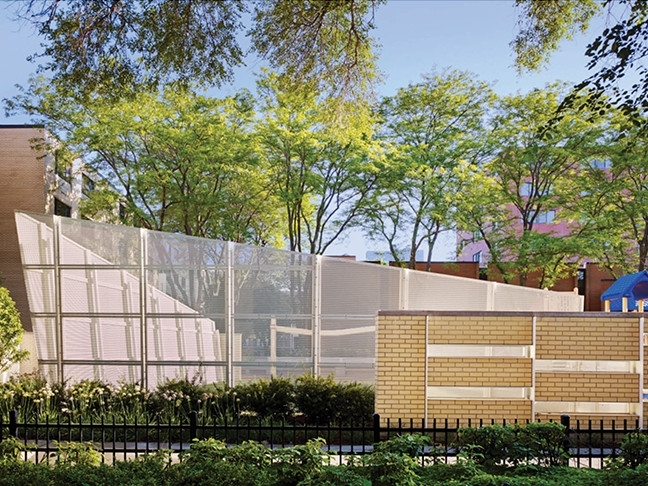 The perimeter wall on the street side is a playful composition of perforated metal screens, masonry walls, and landscape areas that creates a new identity for the neighborhood. The masonry wall has punched glazed openings at varied elevations that allows children of different sizes to peek out into the neighborhood. The campus side has a short perforated metal fence, precast concrete benches, butterfly garden, and an interactive water feature. The butterfly garden is landscaped with plants that attract butterflies and birds, adding a natural element to the daily experience. The fountain adds a source of water to the play experience and provides a cool respite during the summer months. Not just any fountain, the jets are animated, creating a playful pattern of sound and reflection when people are present. These elements surround traditional play structures and a grass field. The new playground brings a thoughtful approach to play by supporting multiple forms of recreation with a delightful arrangement of natural and constructed elements. 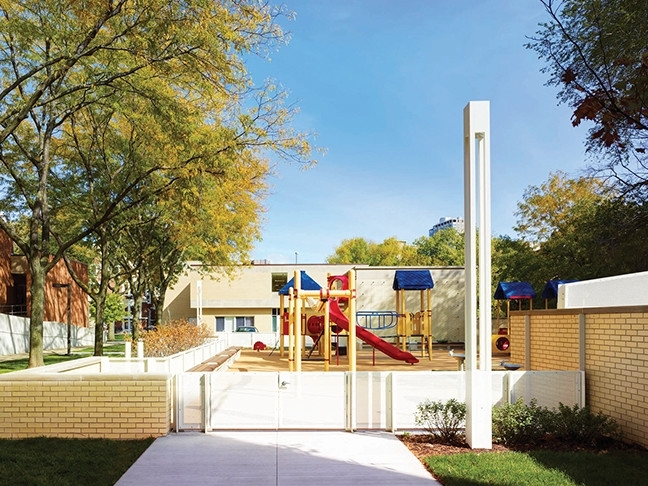 This project utilized playground equipment made from recycled materials, a permeable playground surface to allow for drainage, LED exterior light fixtures, and a water fountain that recycles water to prevent waste.